Agent after agent, publisher after publisher, writer after writer, they all tell the same story. The glory days of hiding out on a small island in the Caribbean, sipping on rum, cranking out the occasional novel, and picking up the generous quarterly royalty check have officially come to an end, never to return. In this new world a writer, regardless of publishing route (traditional or indie), must promote, promote, and then promote some more. Now, my parents raised me to help others - love your neighbor and all that. They taught me that it’s more important to give than to receive. They lived a life of never drawing attention to their many self-sacrificial deeds. When I first headed down the self-promo path it felt awkward to say the least…maybe even a little wrong. Figuring out creative ways to tell people they should buy my book seemed to prostitute creativity itself. To put it another way, after a couple hours of promoting, I feel like a good long bath is in order. Or like I’ve been impersonating a three-year-old - jumping up and down yelling “look at me” trying to get his parent’s attention. I know some of you are thinking this guy’s an American from California, that’s ALL they know how to do! Point taken. However, I’ll just come out and say it: I’m not a huge fan of self-promoting, at least not the impersonal attention-grabbing headlines version of it. Just to be clear, it’s not that I don’t believe my writing worth a read, because I DO, very much so. I believe my suspense/thriller to be entertaining, thought-provoking, emotionally powerful, and on a very basic level beneficial for anyone who takes the journey. And others have confirmed that. The main character, John Truman, struggles with pretty much everything, but in the deep places of his heart he yearns to know one thing: who is he and why is he. I truly think you should read it. Not because it’s the greatest novel of all time (that’s purely subjective anyway) but because underneath the suspenseful and thrilling ride it gives the reader permission to look inside and ask questions about fundamental issues in our lives…questions that need to be asked, explored, and answered. Over the past few months I have managed to justify my self-promoting behavior by making the argument that reading my novel is an intrinsically worthwhile exercise (which is true). I also tell myself that I’m not in this just to make a buck (and that’s also quite true), so I can strike mercenary in its most technical definition from my list of motivating factors. Furthermore, I believe in each and every person following their dreams and doing what they most love, including me. So writing, for me, makes the world a better place. On a related note, I do, very much, want to help others and see them succeed. I’m a community guy regardless of whether the community is down the street or down the e-street (shout out to my UK writer mates). I strongly believe that when one downtrodden, marginalized, oppressed soul finds freedom and love (i.e., succeeds) that we ALL gain, each and every one of us. So I’m quite comfortable pulling out my machete to assist other writers in carving out a path through their getting-noticed jungle. Besides, when I do become uber-successful I want to live in that nice place with other battle worn soldiers, sharing one another’s joy and stories…and reaching out to help the next one take that step up the ladder. So I’m finding, or trying to find, the balance in this self-promotion-based paradigm. I believe in my calling, if you will, to write...and that what I’ve created will more than return the time-money anyone invests in it. I believe in helping others and I believe their creations to be worth the investment as well. That’s where the light goes on and everything comes together for me. This Sunday, Superbowl Sunday, a group of fine writers from across the globe will be working hand-in-hand to promote one another. We will be tweeting/retweeting #samplesunday, highlighting fine (and free) writing samples from talented writers. And I will smile as I watch the It’s-all-about-me paradigm exit stage left to make room at center stage for the more powerful, worthwhile, and fulfilling It’s-all-about-us. Leaving a comment to check out a reported Google authentication problem. Yay for you Mark and yay for us indie authors in general! Great post! Well-said, Mark. I can certainly relate. Hi Thea! Thanks for the comment. Good to see you. Thank you, Kelli, for the kind words and the feedback. Always good to connect with another writer who believes in helping others. If there's anything I can do to help you on your journey, just say the word. This is terrific, Mark. I'm sending the link to my sister who recently epubbed on her own. Hi Peg! Glad you enjoyed it. Thanks for stopping by and thank you for passing it along to your sister. If there's anything I can do to help her out, just let me know. Self promotion? Yikes. I grew up with the old "who do you think you are to..." (fill in the blank). I now know that I am (you are, we are) the out-picturing of the creative universe and it is our JOB to bring our work and our selves forward. Thanks for being a good role model. Mark, I don't know if we've met, but you've really expressed my feelings on this. I haven't published my suspense/thriller yet, in part because I just don't have a handle on the "it's all about me" part. I'll keep an eye on your blog. You give me courage. Thanks Jo for sharing. Good for you for overcoming. I'm cheering you on. Hi Ana. What an encouraging person you are. When you're ready to unleash your suspense/thriller, know that I will be there ready to link arms. Thanks for being a part of my journey. Looking forward to joining you in yours. You have very clearly broken the ego-barrier that so often hampers us in self-promotion. Thanks for the encouragement and suggestions for the rest of us to consider. Now, if I'd only invest in Kindle, I would join the rush to read your book...and those to come. Ohhhhh I so relate. It was physically painful for me to self promote at first. It has gotten a bit easier, but I tend to ad a self deprecating line at the end, like, "Read my book - if you don't have anything better to do." I appreciate you for such well-done article! I adore your style and your belief on this theme. It was very pleasant for me to find your post. I also want to ask, do you use sony ebook reader? I’ve recently purchased it and now I am fond of it! I have a few friends who really love their Sony but, no, I don't have one. I started with a Kindle primarily because of the large market share and I liked it enough to stay with it. It brings up an interesting point for writers: what platform to publish on. 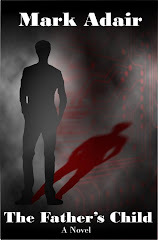 Originally I published my suspense/thriller on Amazon but subsequently, based primarily on feedback like yours, I expanded that to the Nook and then to Smashwords which includes support for Sony readers among several others. What's your favorite thing about your Sony reader? The self-promo takes practice, Mark. Keep working on that community, and read your friends' books. They'll read yours. Be sure to give interviews and write guest blog posts... that gives you something to talk about without needing to beat the drum. Just to say thank you for the lovely comments on Betty's review on my novel. However, also to say... I find the self-promotion thing daunting as well. I'm taking the track of trying to talk in my own voice, whatever. I suppose, as I'm trying to sell a vision, as much as a book. So I try to speak as me. Not that 'vision' implies any huge weight. No matter the subject matter of any novel, the writer is trying to create a sense of world view - be it light hearted comedy to suspense to romance to erotica. So I'm trying to speak as me, on da internetz, even if I'm talking a bit more loudly, and bit more frequently, than I'd like! Hope that makes sense. :-) Loved the post! Hi Susan. Good suggestions on community. Thanks for joining the conversation. Thanks for the comment, Morgan. I like your advice - be yourself, maybe just a bit louder and frequently than normal, but be yourself. I think that helps center us and keep us grounded in the self-promo process. I'll keep that in mind; good thing to remember. Cheers!